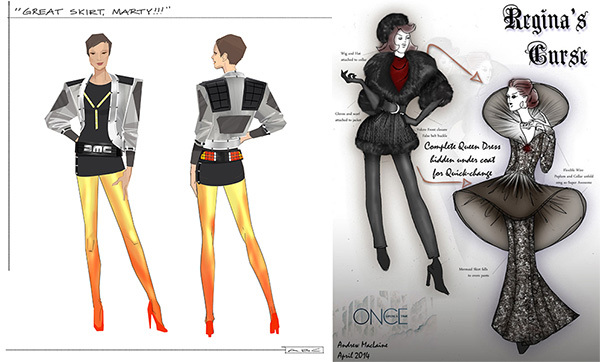 Home » Fandoms » Disney » Her Universe Fashion Design Contest Open for Submissions! Last year, Her Universe launched their first fashion show featuring outfits inspired by sci-fi and fantasy characters not from industry pros like Gaultier or Dolce & Gabanna, but FANS! This year they’re back for a second round! Calling all designers for the chance of a lifetime! The ultimate runway for fangirl fashion is back bigger and better for this year’s San Diego Comic-Con with the 2015 Her Universe Fashion Show and Design Competition! The submission process opens today and designers, 18 years and older, can submit designs to be considered for the fashion show at the link below. The deadline for submissions is April 22nd, 2015 and the 25 contestants will be selected and announced by April 28th, 2015. The winners will get to design their own collection to be sold in Hot Topic stores. Get those designs in, folks! And even if you’re not selected, do me favor and PLEASE let me see them in the comments! I saw many last year that weren’t selected for the show, but were absolutely fabulous! Next The Clone Wars “Bad Batch” Animation Reel at Celebration 7!